Lives hang in the balance in this gripping Revolutionary War adventure from a beloved Newbery Medalist. Master storyteller Avi shows exactly how personal politics can be in this “nail-biting thriller” (Publishers Weekly) that is rich in historical detail and rife with action. In 1776, the War of Independence comes to New York City and to twelve-year-old Sophia Calderwood’s family. William, her older soldier brother, has been missing since the defeat of George Washington’s Army at the Battle of Brooklyn. When the British occupy the city, Lieutenant John André of the English Army is boarded at the Calderwood home. He and Sophia develop a flirtatious friendship, which is tested when the girl discovers that William is being held in the Sugarhouse, a notorious British prison. She hopes André can help. When he chooses not to, Sophia struggles to save her brother herself. Three years later, Sophia becomes a spy in the headquarters of the British Army. There she finds André, now a major, working to enable a highly placed American general to become a traitor, a treason that will endanger the whole American war effort. Deciding to stop the treason—and motivated by personal revenge—Sophia becomes desperate. However, as Sophia learns, desperation’s other name is deception. Indeed, the desperate characters in this thrilling tale of spies and counterspies act out many acts of deception, not least by Sophia herself. Based on true tales of the Revolution, carefully researched, this story will shock and enthrall even those who think they know what happened during the American Revolution. 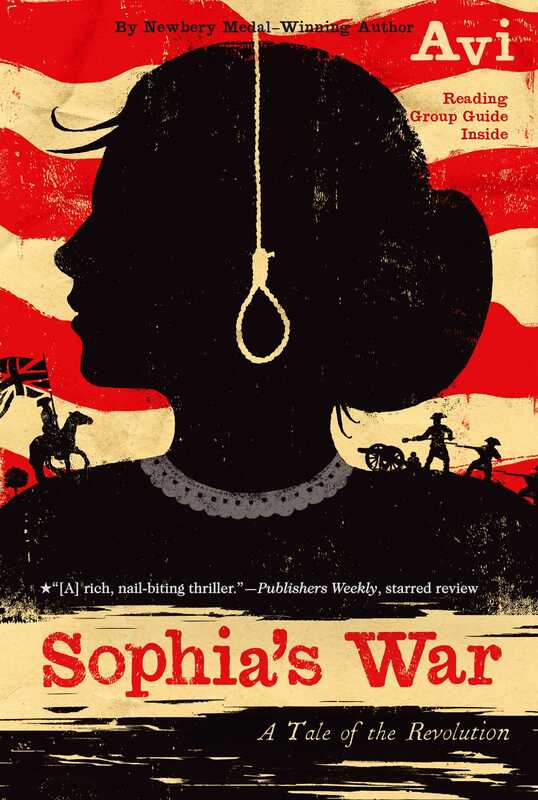 Sophia's War is Avi at his best, a haunting historical thriller. Thread 1 is Part 1: The treatment of American prisoners by the British in New York City during the Revolution. Thread 2 is Part 2: The true story is that of British Major John André and General Benedict Arnold. Thread 3 is Sophia Calderwood’s story: a tale of fiction and the link between these first two threads. 1. When the story opens on September 22, 1776, Sophia is a surprise witness to a hanging. Explain Sophia’s situation and that of her family. How does the hanging affect her? 2. What kind of man was young William Calderwood? What influence did he have on Sophia during his life? 4. How does the boarder, John André, compare to Lieutenant André? How did his presence affect Sophia and her family? Does she feel affection for him? 5. What dangers does Sophia face as she searches for William at King’s College, then the Sugarhouse, and finally The Good Intent? What does her search show about her character? 6. How does Avi describe the conditions in the Sugarhouse? (Chapter 24) Who is responsible for these conditions? 7. Why would the British move American prisoners to a ship in the harbor and use it as their prison? In Chapter 27 Sophia says as she boards The Good Intent that “This was not mere disregard and ignorance. This, by multiple degrees, was murder.” Explain her meaning. 8. Who is responsible for William’s death? How does William’s death change Sophia? Would this same change have happened if he had died in battle? 9. The ship named The Good Intent is an example of irony in this story. Irony is an incongruity between what actually happens and what might be expected to happen. Explain the irony in the ship’s name. 10. What do we learn about Benedict Arnold in Part I? 1. “To lose a loved one is but part of living life, whereas to have a loved one vanish is a living death.” How does this apply to Sophia and her family? When Chapter 29 begins, how is the family changed by William’s death? How has the war changed by 1780? 2. What part does Robert Townsend play in this story? 3. How has Major John André changed since he was last with Sophia, in Part I? How could his new position affect Sophia? How did the poem he wrote for Sophia lead to his undoing? 5. What would Sophia say was the key to her reaching the meeting place for André and Arnold? 6. How was the Vulture being fired upon and towed downriver a turning point in the meeting between André and Arnold? 7. What stands in the way of any adults believing Sophia and her story of Arnold’s treason? 8. How does Mr. Paulding play a key role in the arrest of Major André? Why did Colonel Jameson send André to General Arnold? What motivates Major Tallmadge to intervene? How does Arnold incriminate himself? 9. Why does Sophia need to see André? What did Sophia accomplish in talking to him? How does his treatment as a prisoner differ from that which William received in the Sugarhouse? 10. Should André have been hung? 1. In Chapter 2, Sophia mentions “the crimes the British had committed—as cited in our Independence Declaration”. Read the Declaration of Independence http://www.ushistory.org/declaration/document/. Key in on the list of grievances listed against King George III. Which of these grievances are specifically parts of Sophia’s story? How did each affect the people and the war? 2. Find an instance in Avi’s writing of how his attention to detail and his research adds to our knowledge of the time and place. 3. In Chapter 17, Mr. Paine is quoted: “our new nation is a blank sheet for us to write upon.” How does Sophia step out of her life to create her mark on this “blank sheet”? 4. In Chapter 2, William tells Sophia, “Liberty shall always triumph over tyranny.” Was this quote proved or disproved in Sophia’s War? 5. Research the following mentioned in Sophia’s War and their importance in these times. 6. André tells Sophia in Chapter 22, “A promise to a girl is not a pledge to a lady. You are not yet a lady.” Explain how André recognizes Sophia as a lady in Part 2. 7. Deception was the original title for this book. List all the ways deception was part of this story. 8. In Chapter 58, Avi writes, “In war, all are prisoners.” What do you think he meant? 9. In what ways does telling the truth about herself embarrass and pain Sophia? Sophia says at the end of the story, “I no longer wish to be at war with myself.” What does she mean? 10. Return to Sophia’s “Dear Reader” letter at the beginning of the story. Was Sophia right to act in such a way? What did she contribute to the times? Write Sophia a letter in which you answer her. 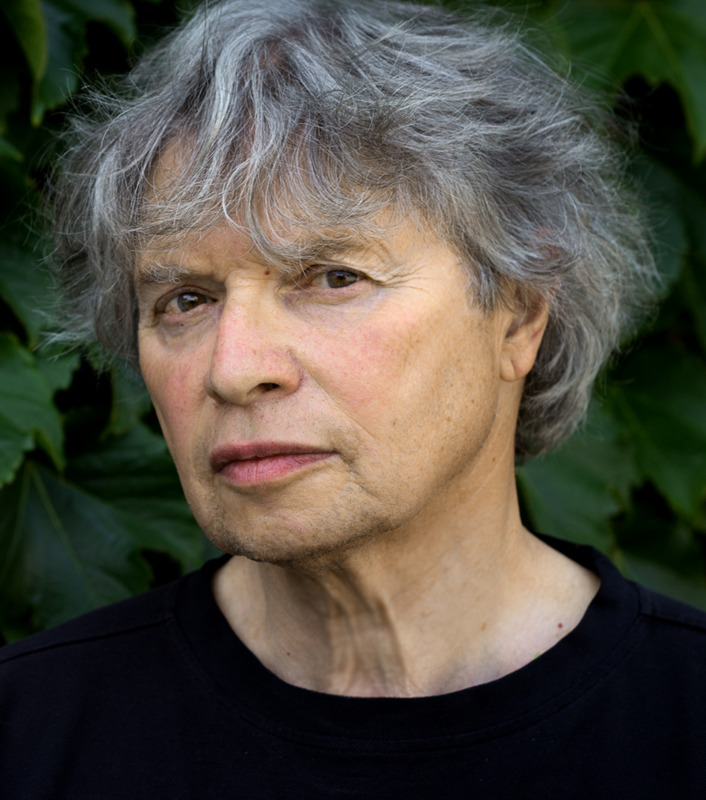 "Avi's setting is impeccable (especially the descriptions of the prisons where rebel soldiers were kept); the intrigue on the home front, real; and the tension of living in enemy territory, intense." "Newbery Honor-winning author Avi offers a gripping view of the Revolutionary War through the eyes of a 12-year-old spy.... With language drawn from the period (and appended in a glossary) and historical events forming the tight framework of the tense, imagined drama, Avi offers an action-filled novel with wide classroom appeal."